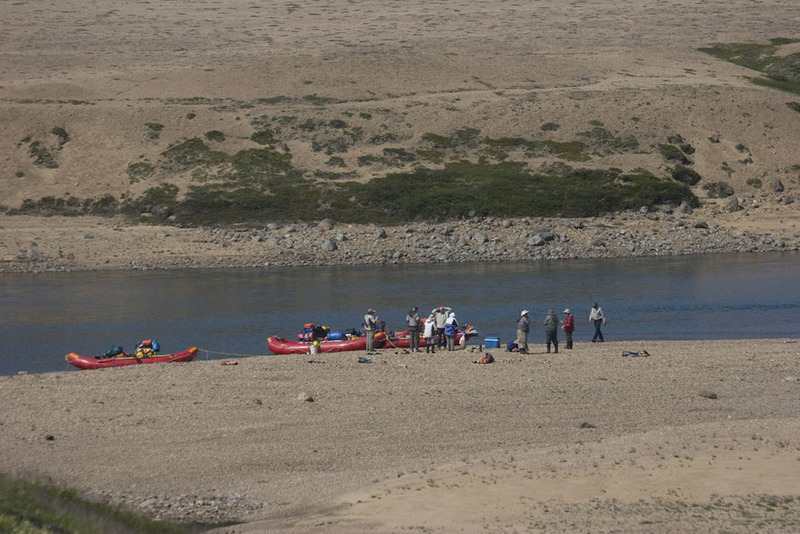 Join us for this arctic odyssey on the Soper River and sample the best and most exotic of Baffin Island. Enjoy arctic wilderness and Inuit carvings. Steeped in history and rich in flora and fauna, Baffin Island is a treasure of Nunavut, Canada’s newest territory. 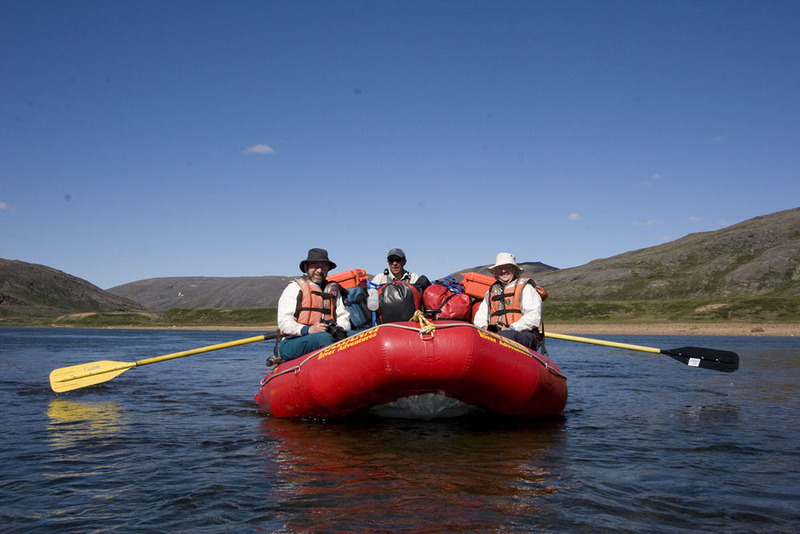 We paddle by inflatable canoe and raft over approximately 53 kilometres (33 miles) on this high arctic tundra journey. The Soper River is a Canadian Heritage River. Kuujuak, “The Great River“ as it is known to the Inuit, flows through Katannilik Park, across the tundra to Lake Harbour on the Arctic Ocean. 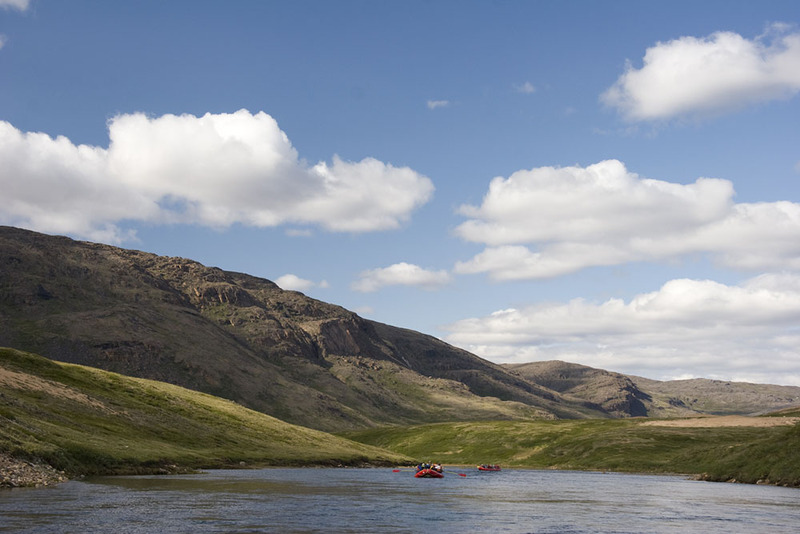 We’ll float, paddle and hike the Soper and surrounding landscape with a collection of rafts and canoes. Our timing coincides with the height of the wildflower colour. 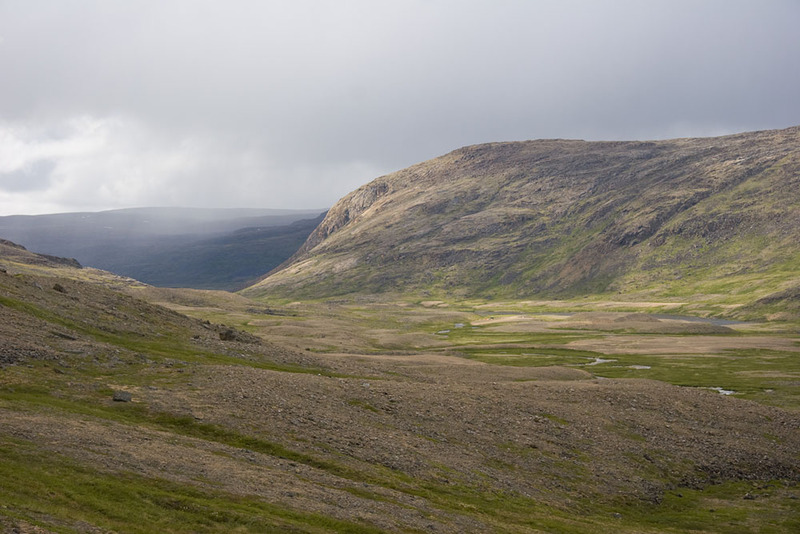 Hiking abounds on the open tundra. 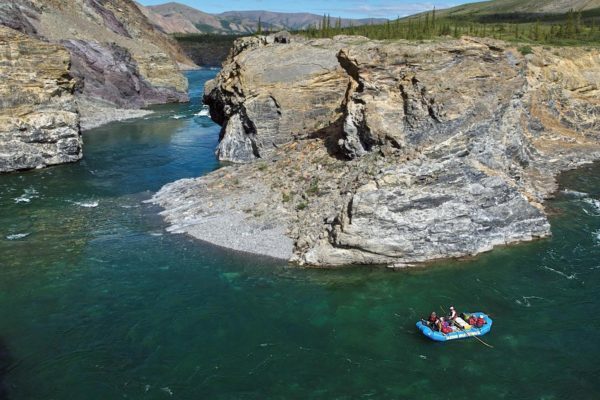 The clear water of the Soper, with small gorges and Class I and II rapids, makes for idyllic river travel. Falcons, caribou, fox, wolf, ptarmigan, geese and others animate the landscape. Our itinerary is planned to make the most of our time on Baffin Island, for cultural, ecological and historical exploration. The Baffin communities of Iqualuit, Kimmirut and Pangirtung, offer an opportunity to experience the unique culture of this land. 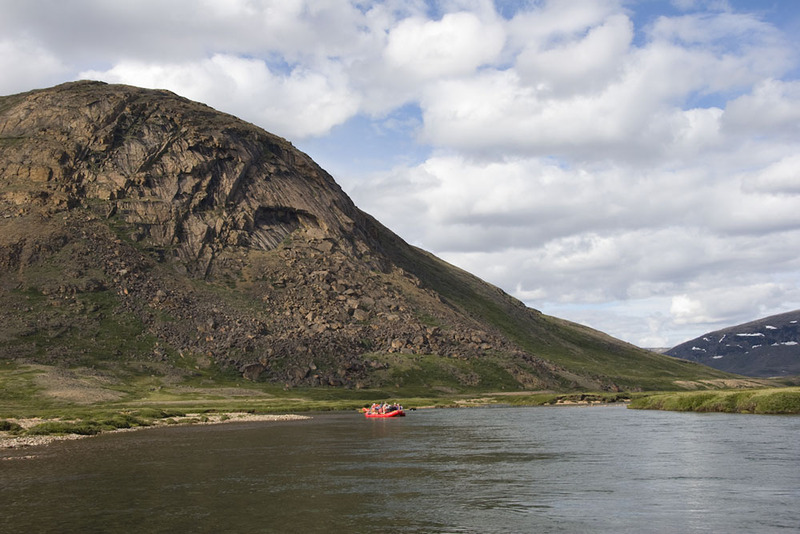 A terrific add-on to the Baffin Island and Soper River journey is a visit to Pangnirtung. 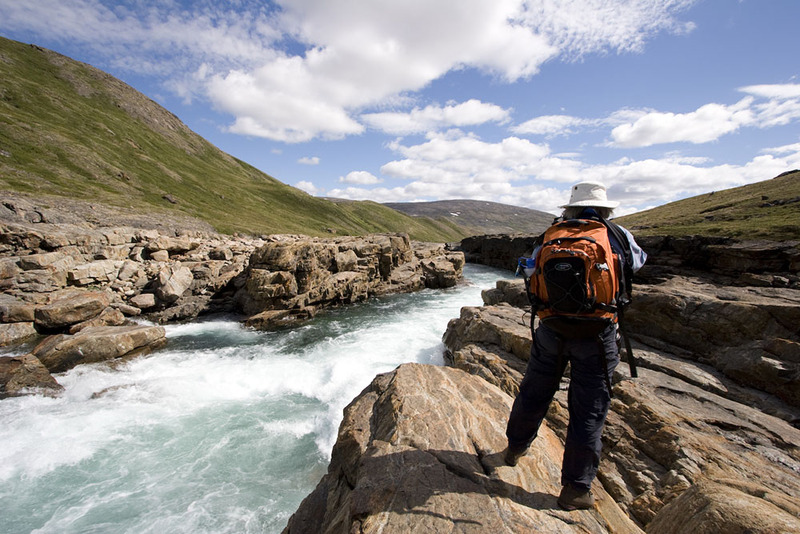 Nestled inside a spectacular fiord, Pangnirtung is home to many world class attractions. The Inuit printmaking shop and weaving coop are both famous for their work. 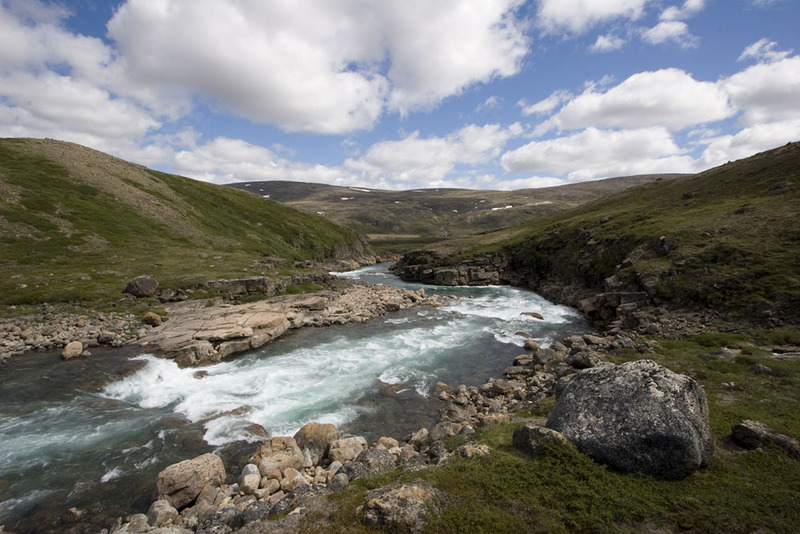 Pnagnirtung is also the headquarters of Auyuittuq National Park, situated further up the fiord. Auyuittuq Lodge provides comfortable accommodation close to all the town’s attractions. The community is friendly and extremely interesting. The cross of cultures and history is evident everywhere you look. The following is a tentative itinerary and has been designed with much thought to capitalize on the most scenic and exciting parts of the trip, while making time on other sections. You guides will adjust the schedule to make the best use of water and weather conditions. You should plan to arrive in Iqualuit, Nunavut for our pre-trip orientation meeting, which will be held in the Frobisher Inn at 8 p.m. This is also a recommended accommodation (not included). 8 a.m. – Meeting in the hotel lobby after breakfast. 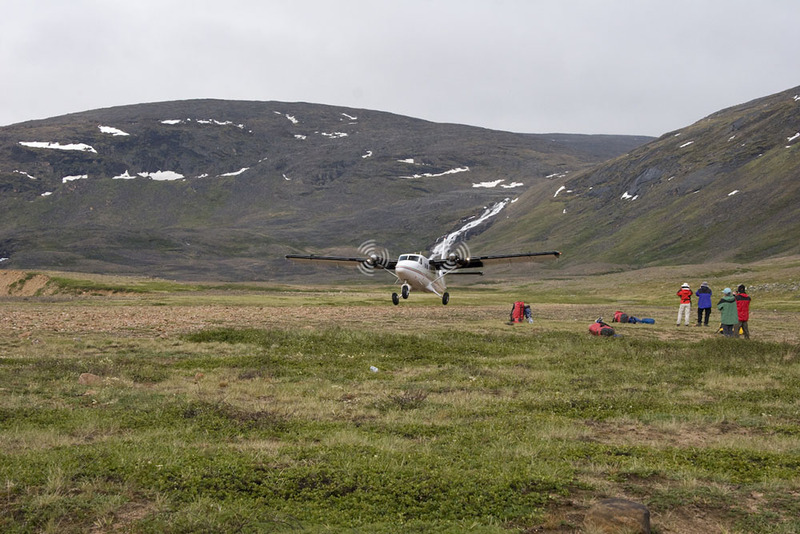 We’ll transfer to the airport and, weather permitting, make our Twin Otter flight in to the Kiinaujaq (Mount Joy) vicinity of the Soper valley. You’ll want to have your camera handy! Initially, we fly over a barren, rocky landscape. All at once, we descend into a lush green valley – a stark contrast. The flight across this vast wilderness is the first of the many highlights that await. Camp will be among the willows and wildflowers on the shore of the Soper River. This place is appropriately named Panoramic Flats. Carved into the land by ancient glaciers, this valley is a microcosm of relatively lush growth, unparalleled on Baffin. The 24-hour daylight provides constant opportunity to scan the horizon for wildlife. The beautiful hills surrounding Panoramic Flats beckon us. We’ll have the option of hiking a surrounding peak or the base of majestic Veil Falls. It is readily apparent why the park is called Katannilik: “the place where there are falls”. Waterfalls cascade within sight of almost every camp on this river. Colourful wild flowers abound. Today we launch on the river. The initial portion is shallow, but soon the confluence with other streams deepens the channel of crystal clear water and moves us along. Camp is on a sandy bluff overlooking a lake-like widening of the river. Surrounded by verdant hills, we watch for wildlife beneath the midnight sun. Livingstone River is our destination. This is a lovely river day of easy rapids. Ancient tent rings are found near camp. Cause for reflection on the lives of those who have made this valley home for the last 10,000 years. A short hike brings us to the broad drop of Livingstone Falls – a captivating spot for lunch. In the afternoon we explore further up the Livingstone valley before returning to camp. Back on the river we make our way to the Big Bend. 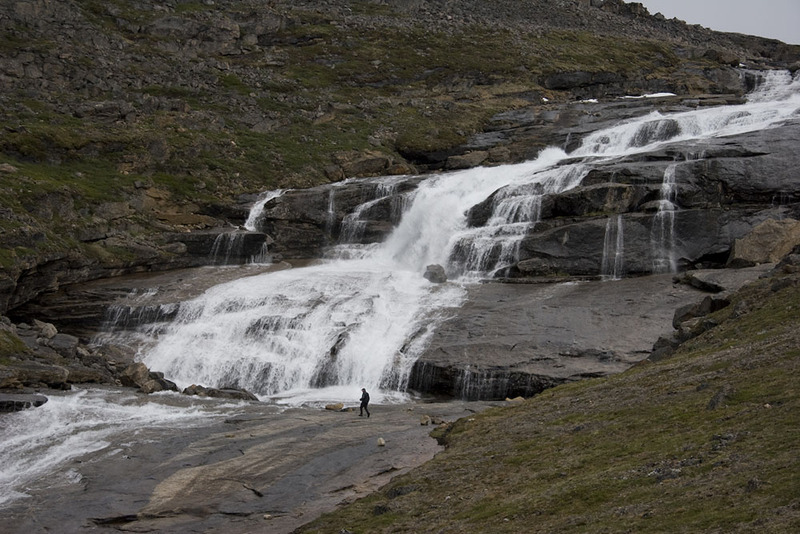 Another spectacular waterfall is the destination of an afternoon hike. En route to camp we stop at the Willow Forest to witness the tallest trees on Baffin Island (the giants reach 6′!). We now enter a new range of crystalline limestone named the Gray Hills, foreshadowing the geological highlights ahead. En route to our camp at Soper Falls, we stop to explore intriguing mineral deposits of Mica and Lapis. On a short hike we find large chunks of deep blue lapis and sparkling mica, shimmering on the ground. The gorge cut by the falls is captivating, and after supper we explore the area and have our first view of Soper Lake. We make an early start to avoid wind on the lake. This area is yet again dramatically different from anything we have seen so far. Soper Lake, known as Tasiujajuaq to the Inuit, meaning “big lake-like lake.” The name refers to the meromictic nature of the lake that is a mixture of fresh and salt water. Turning into a picturesque bay, we complete the water portion of our trip. A short hike brings us to an overlook revealing the charming village of Kimmirut and the expanse of Lake Harbour. This village is famous for the stone carvers who make their home here. These stone carvers are internationally renowned for their artwork. The afternoon allows time to view the many beautiful carvings on display and for sale in the community, as well as a look through the informative Visitor Centre. Kimmirut is an isolated village where even the children are still fluent in Inuktitut and where a translator will assist our communication with some of the elders. Later, we will meet our home stay families. This innovative northern hospitality pairs visitors with receptive families (similar to a B&B). A group dinner in one of the homes will be the highlight of the evening. You may have a chance to try traditional dishes, such as seal and caribou. All in all, the cultural experience of Kimmirut is remarkable and rich, a rare opportunity in today’s world! Morning will allow time for a final viewing of carvings. Later in the day we’ll charter back to Iqualuit with an opportunity to explore this colourful town, Canada’s newest territorial capital city. It’s a setting of extreme contrasts, but friendly hospitality. Camp will be in the Frobisher Inn (not included). Included among the highlights of Iqualuit are the amazing tidal phenomena of the bay, the legislature, arts and crafts school, museum, visitor centre, the igloo-shaped Anglican Church, art galleries and unique commercial enterprises. Dinner will be in one of the local restaurants (not included) and will provide an opportunity to recount upriver adventures. Homeward bound. You may wish to add on one extra day to your stay in Iqualuit to have a thorough look through town. A guided tour of the Legislative Assembly is particularly impressive. Those staying on to visit Pangnirtung will begin the next step of their journey. Nestled against the mountainous sides of a spectacular fiord, Pangnirtung is home to many world-class attractions. The Inuit printmaking shop and weaving coop are both famous for the work they produce. 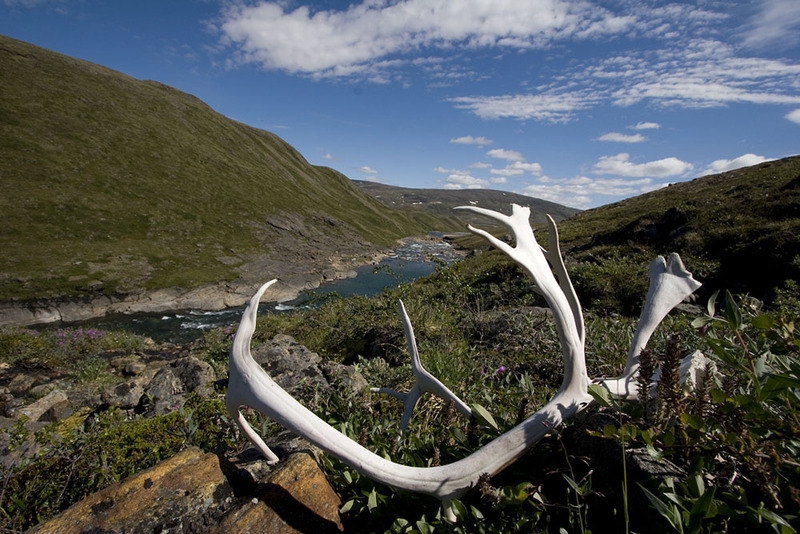 Pangnirtung is also the headquarters of Auyuittuq National Park, situated further up the fiord. You can visit the park interpretive centre and the whaling museum. Auyuittuq Lodge provides comfortable accommodation close to all the town’s attractions. The community is friendly and extremely interesting. The cross of cultures and history is evident everywhere you look. 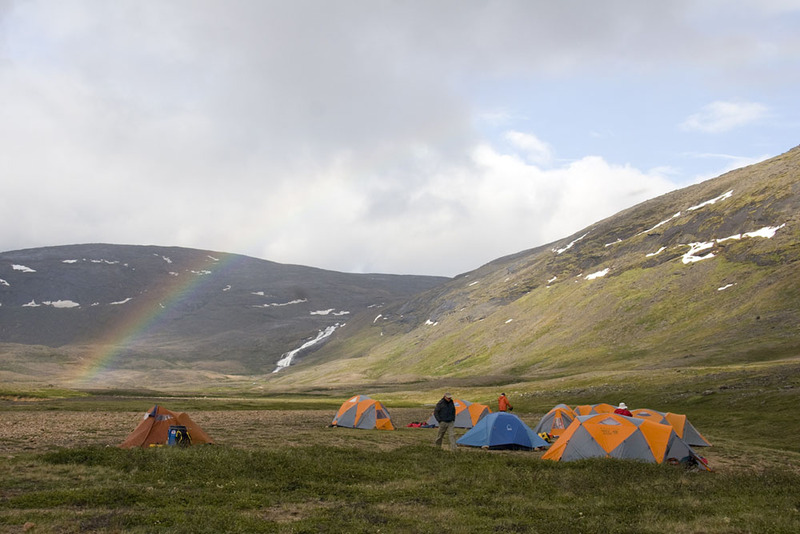 The Ikuvik trail begins on the edge of town and provides a day hike and chance to absorb the spectacular fiord scenery from the slopes of Mount Duval. magine a rafting and canoeing trip in water so clear and pure you could drink it; imagine a huge waterfall of this pristine water; imagine a trip where you visited and ate with local Inuit in their homes; imagine a trip where you could see and learn how to judge Inuit art and then buy it at reasonable prices; imagine a lunch of arctic char sandwiches on an ice flow. Briefly, this was the Soper. 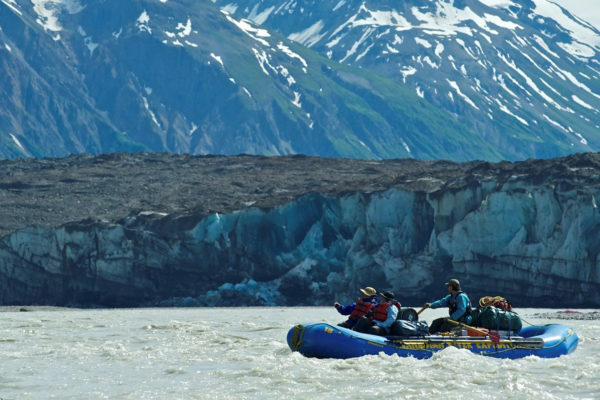 It’s hard to imagine that any such trip could be better organized, more rewarding, or handled by more congenial guides. Five Stars!